KESS trio's name is constructed of first letters of the names of its members: sisters Katarina (violin), Emilia (cello) and Simonida (flute and piano) Spasojevi&cacute;. They all started playing piano when they were about 5 years old, Katarina started the violin at the same time, and the two older girls later added the second instrument. Simonida, the oldest, after studying piano with Niva Fried for several years, added the flute in 4th grade, when she started playing in school band. 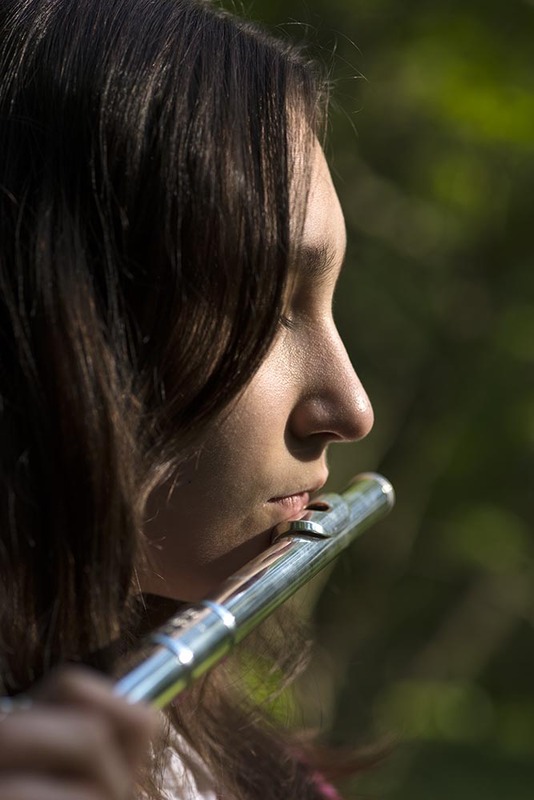 She started flute lessons with Tim Teranella when she was 12, in 2013. Emilia, the middle sister, wanted to play the violin, but her parents managed to persuade her to start the piano, which was already bought for her oldest sister. 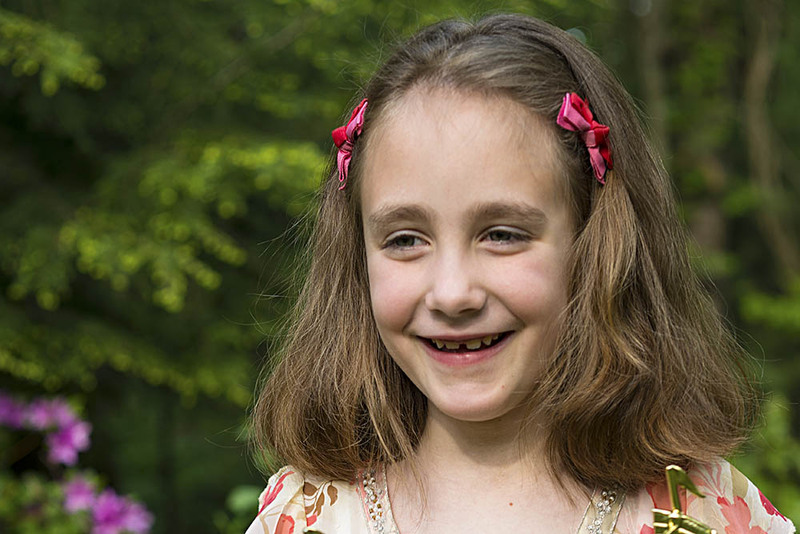 Two years later, little Katarina's wishes to play the violin would not be so easy to dismiss. She was enrolled in violin lessons with Alex Vavilov. Once Katarina got to learn to play two instruments, the other two girls demanded the same. 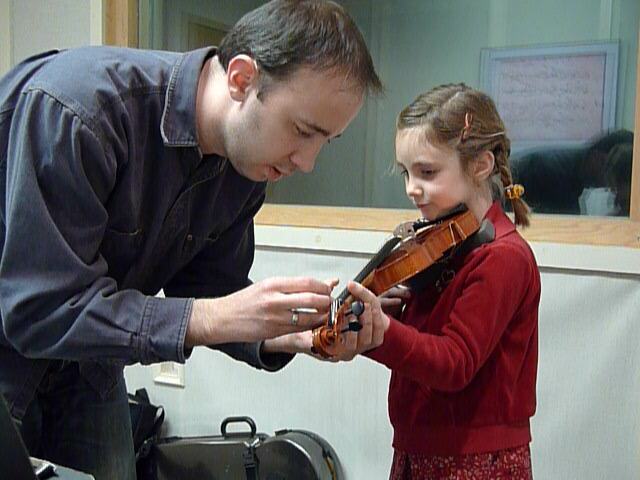 Emilia started the violin with the same teacher as Katarina, Alex Vavilov. But by the end of the semester she realized that she preferred lower-pitched instruments. 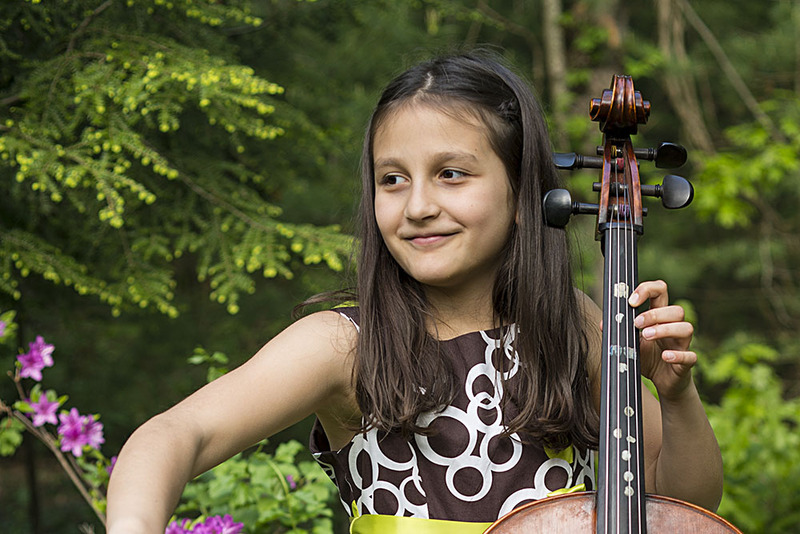 So, at age 8, in 2012, Emilia started taking cello lessons with Arkady Beletsky. 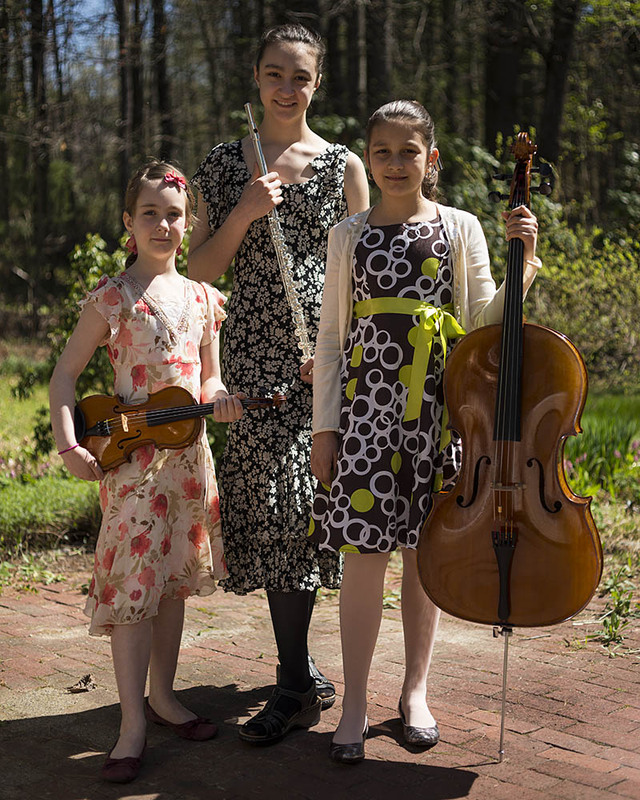 She was so eager to play in a trio with her sisters that, four months into her cello training, she started improvising while Simonida accompanied Katarina. That is how she composed the cello part for the first piece KESS trio performed in public, in the neighborhood church in September 2012: the violin-piano piece called 'Rondino' by a Hungarian composer Istvan Selenyi. Emilia's teacher, in response to his student's obvious passion, started coaching the girls as a trio. Their first 'real' piano trio was Haydn's Gypsy Rondo. 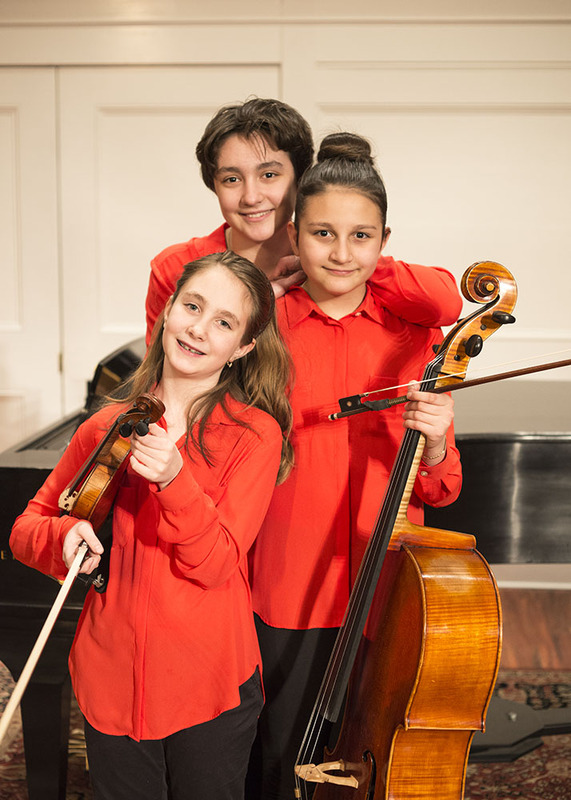 In 2014, when all three girls were enrolled in Boston Youth Symphony Orchestra, Marla Rubinson became their trio coach, and she is in charge of the trio's progress ever since. 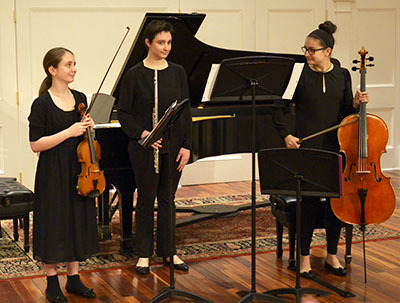 At the same time, all the girls received generous scholarships from The Rivers School Conservatory, and they all switched to new music teachers. 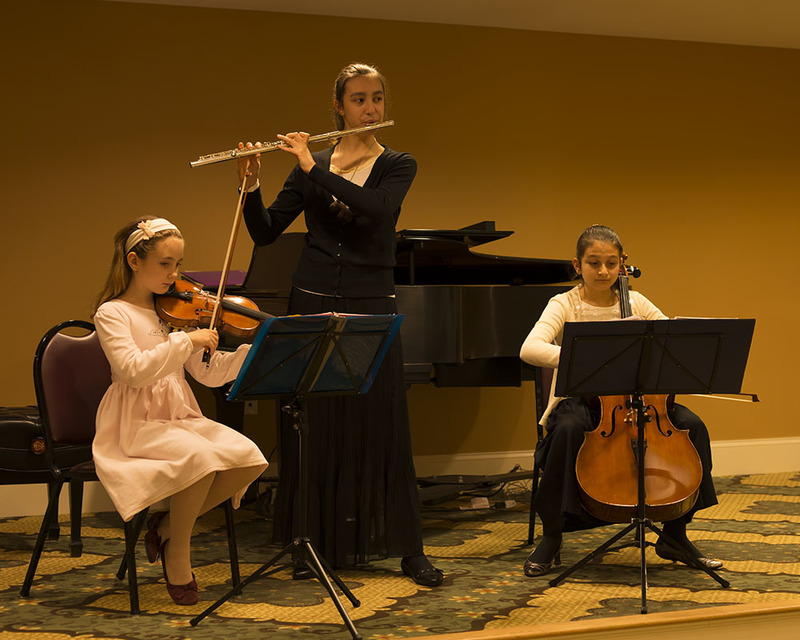 Simonida started taking piano lessons with Ramon Rivera and flute lessons with Ann Bobo, Emilia started taking cello lessons with Ronald Lowry, and Katarina started taking violin lessons with Magdalena Richter. 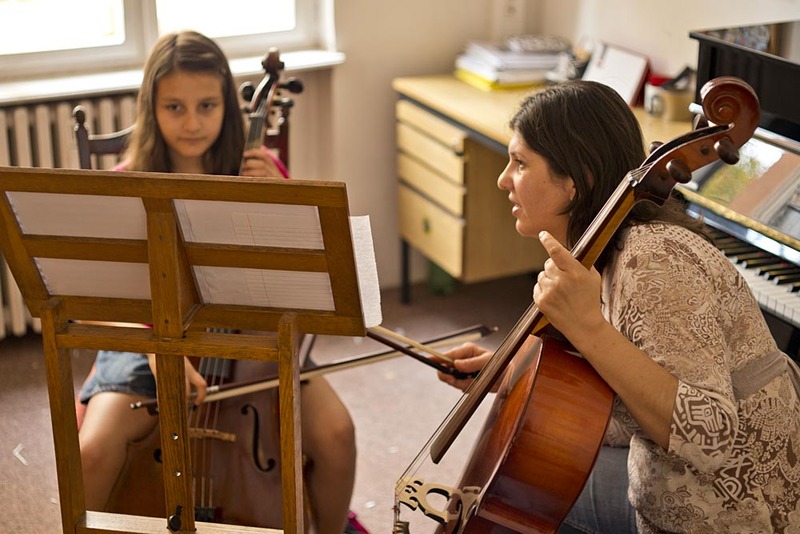 During summer, which they spend with their grandmother in Novi Sad, Serbia, they take lessons with their summer teachers, Aleksandar &Dstrok;uri&cacute; (flute), Marijana Krmpotić (cello), and Milan Čizmić (violin). 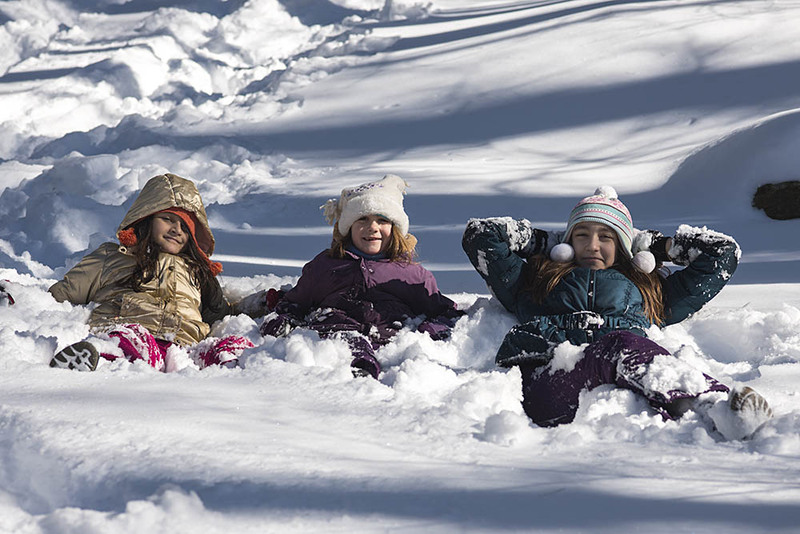 The girls especially enjoy playing in retirement communities, because of the relaxing atmosphere and cozy time they share with the seniors after the concerts. But they also like doing competitions and recitals too. Katarina was born on February 3rd, 2006. She loves music and sports. She has been playing piano ever since she could reach it, and started formal classes in violin, piano and ballet when she was 5 years old. 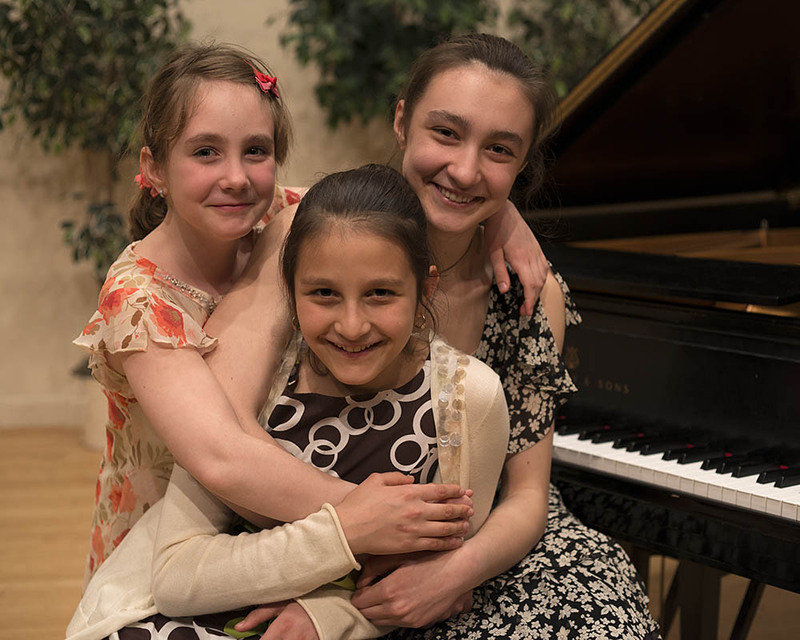 When it was time for her to begin her music education, she was already good friends with her two older sisters' piano teacher, Niva Fried, and nobody questioned that she would take piano lessons. But, after the whole year of piano classes was agreed upon (and payed for), Katarina confronted her parents demanding violin lessons. 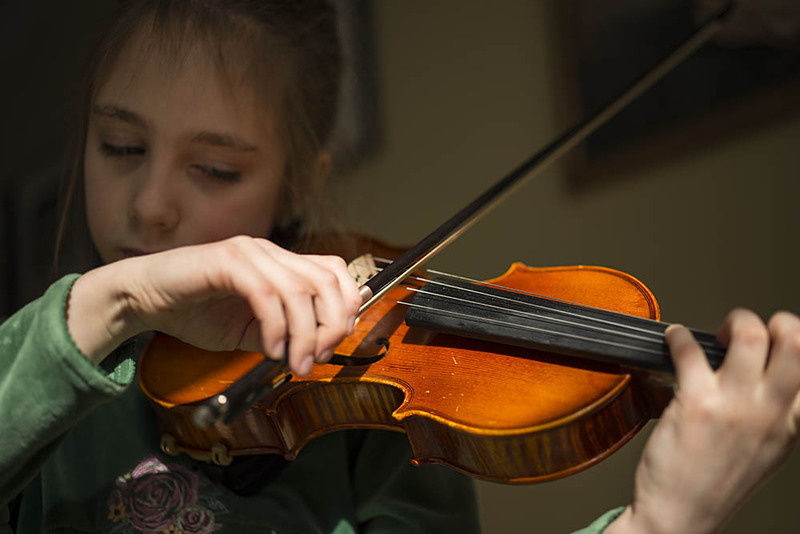 At first her parents dismissed her, but they soon realized she was serious; she refused to even touch the piano until she was given violin lessons. Her first steps on violin were with her Serbian violin teacher, Milan Čizmić, while she was staying with her grandmother in Serbia. When she came back home, she was enrolled with Alexander Vavilov, and by the end of the school year, she was playing Vivaldi's Violin Concerto in A Minor. 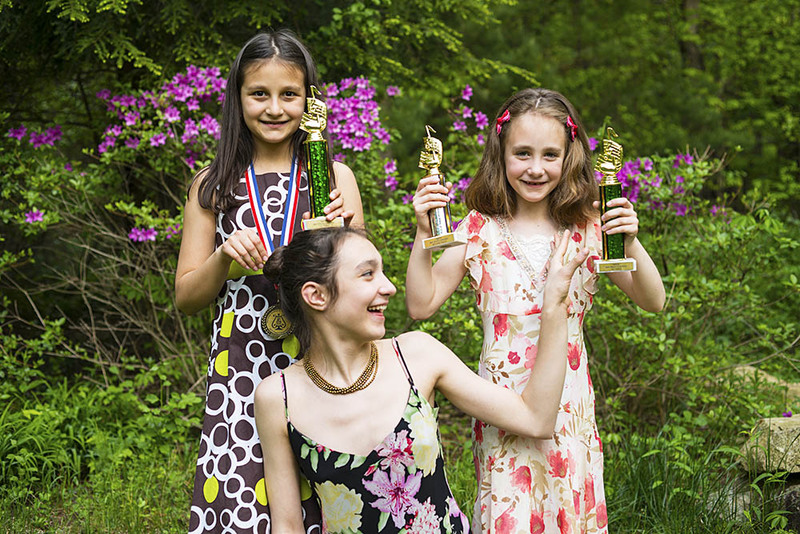 The following year, at age 7, at the MMTA Bay State Contest Piano Division, she won the first prize and the second prize in the Violin Division, two favorite trophies in one day. 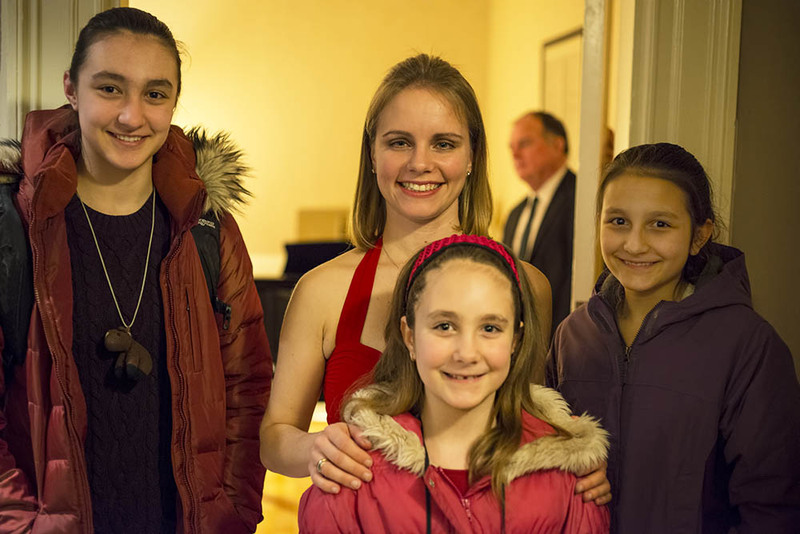 In the summer of 2014, she received a generous scholarship from the Rivers School Conservatory and transferred from Alex Vavilov to Magdalena Richter, acclaimed violin teacher in New England. Ms. Richter lead her to win the first prize in the 2015 MMTA violin competition, and win the Rivers Symphony Orchestra concerto competition in November 2014, playing Kabalevsky's violin concerto No.1. Because of copyright issues, instead of the winning piece, she performed Bach violin concerto in E major in Jordan Hall in February 2015. 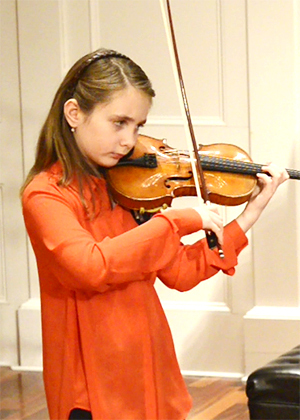 On Sundays, she enjoys playing violin with the Boston Youth Symphony's Repertory Orchestra. 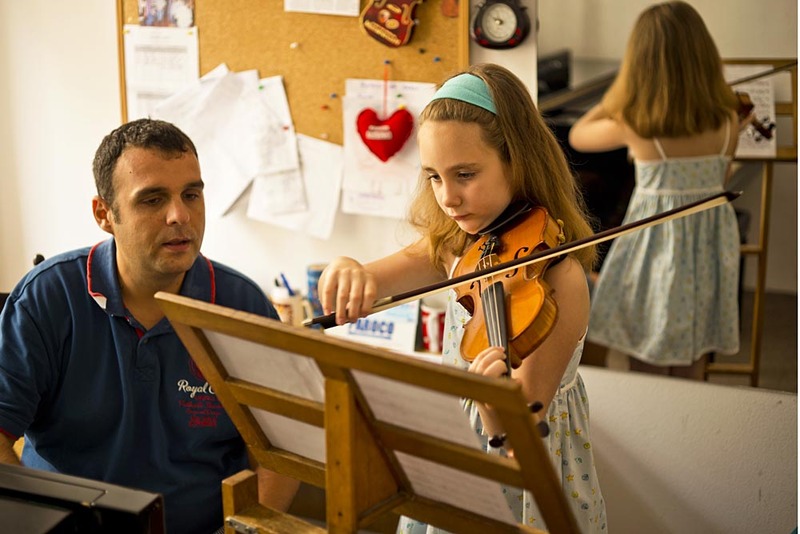 When in Serbia, where she spends summers with her extended family, she takes takes violin lessons with her first violin teacher, Milan Čizmić. She learned to read music before she learned to read language. She is also an amazing artist, which her parents learned from her teachers at school, and never saw at home because she doesn't like spending time in that activity. She is very good in math, which is the third enjoyable activity for her besides playing the violin and sports. Emilia was born on New Year's Day in 2004. 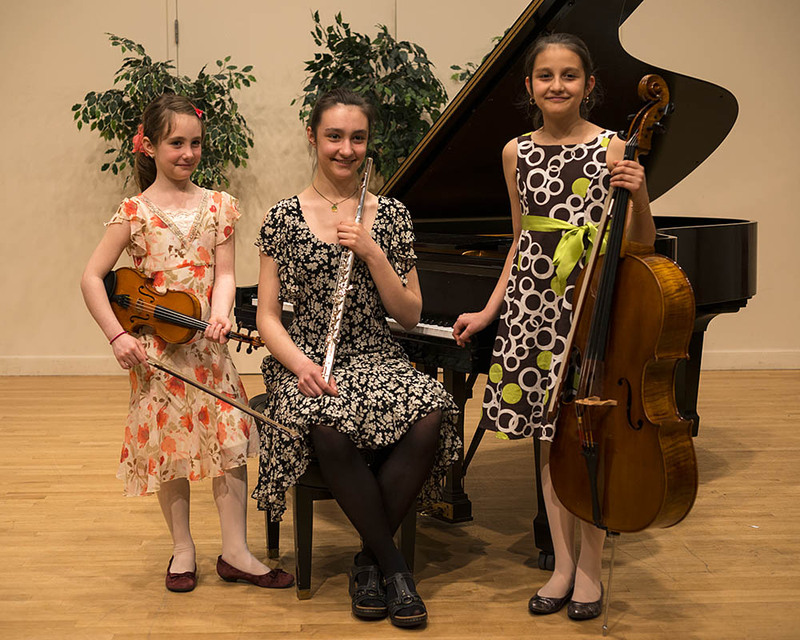 Since her older sister, Simonida, showed talent for piano, and Emilia proved to be a very interested observer of her sister's piano lessons with Niva Fried, Niva gladly accepted Emilia as a student. 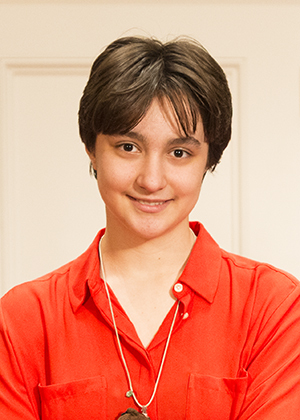 Emilia won the second place in the MMTA Bay State Contest, Piano Division in 2012, first in 2013 and third in 2014. Emilia began violin lessons alongside with her youngest sister, Katarina, but quickly discovered she had an inclination towards the lower-pitched instruments. Torn between switching to viola and continuing with her old teacher, Alex Vavilov, or starting an entirely new instrument, cello, with Arkady Beletsky, she was the one who chose cello, and enabled the creation of a piano trio within the family. 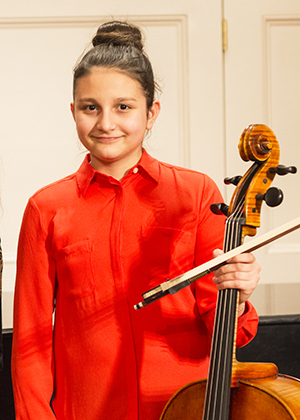 Emilia had switched from Mr. Beletsky to Tim Terranella, but now that she received a generous scholarship from the Rivers School Conservatory, she has settled with a renowned cellist and educator Ronald Lowry. In January 2016, she won the Rivers Symphony Orchestra concerto competition, and played Saint-Saens cello concerto No.1 in Jordan Hall with them. On Sundays, she enjoys playing cello in the Boston Youth Symphony's senior orchestra. When in Serbia, where she spends summers with her extended family, she takes cello lessons with Marijana Krmpotić. Emilia is an amazing artist and loves to draw and paint, makes little bracelets, earrings, origami and other presents for her friends and family, and likes to cook. Simonida was born on February 12, 2001. 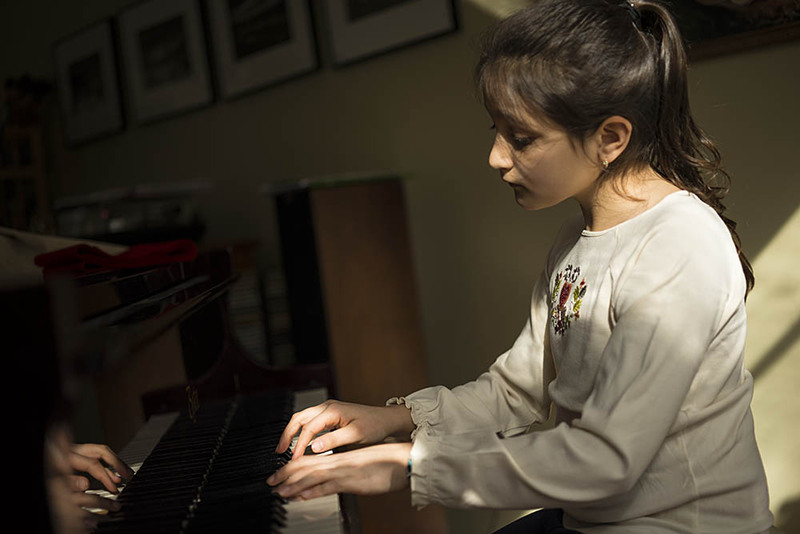 When she was 5 years old and about to start kindergarten, her mother, having played piano as a child, inspired her to begin piano lessons with Diana Shapira. When Miss Shapira moved away to pursue her Ph.D. in music, Simonida transferred to study with Niva Fried. She had her first piano competition when she was 8 years old, MMTA Bay State Piano Competition, where she won the second prize. Over the six years they worked together, Niva led her to win many prizes in various piano competitions. 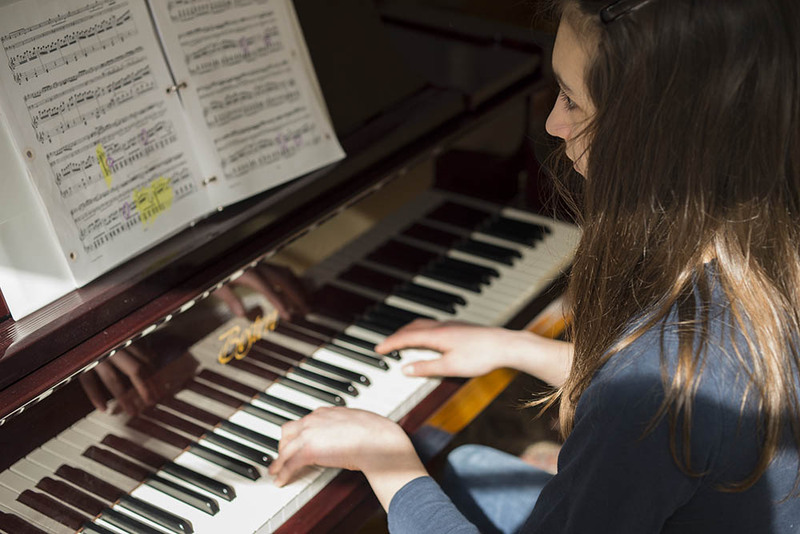 Now that she received a generous scholarship from the Rivers School, she is studying piano with Ramon Rivera at the Rivers School Conservatory. Most recently, she won the first place at the Rivers Division in Rivera Piano Competition at the Rivers School Conservatory. Simonida started playing flute in the school band when she was nine years old. 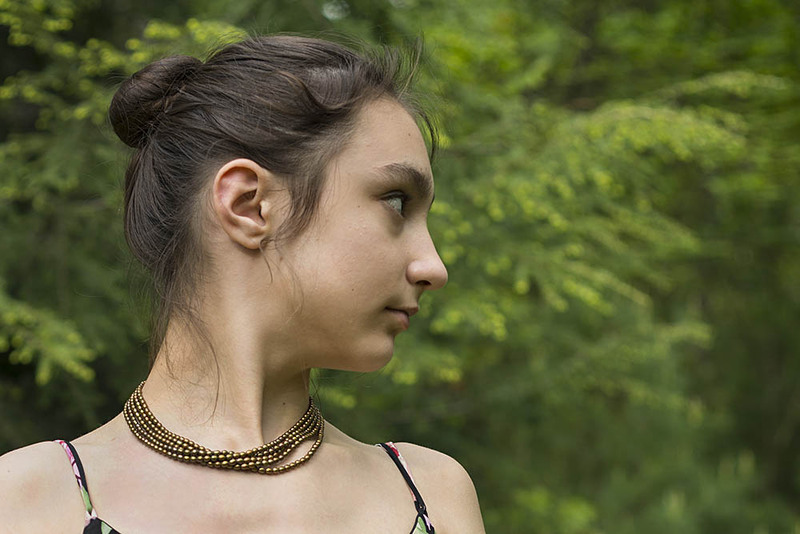 When she was twelve, she started taking flute lessons with Tim Terranella. Once she received a generous scholarship from the Rivers School Conservatory, she transferred to Ann Bobo, acclaimed flutist and teacher. She is involved in the Artist Diploma program at the Rivers School, and is the first flute in the Rivers Upper School Orchestra. On Sundays, she enjoys playing flute in Boston Youth Symphony Orchestra's Junior Repertory Orchestra. When in Serbia, where she spends summers with her extended family, she takes flute lessons with Aleksandar &Dstrok;uri&cacute;. Simonida loves trying out new instruments and doing all arts, especially drawing. She is an amazing artist, and now that she is at the Rivers School she is quite sad that she cannot take both music and visual arts classes because of the time conflict issues. She enjoys exploring new places and traveling.